Score A 2018 Entertainment Book For Just $3.99! PLUS FREE Shipping! You are here: Home / Great Deals / 2018 Entertainment Book For Just $3.99! PLUS FREE Shipping! 2018 Entertainment Book For Just $3.99! PLUS FREE Shipping! 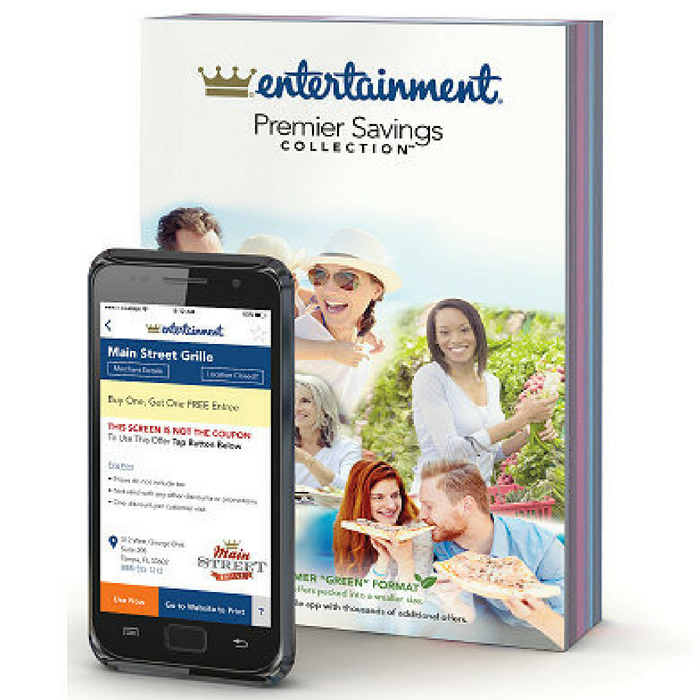 You can score a 2018 Entertainment Book for only $3.99, PLUS FREE Shipping when you join their Annual Renewal Program! This book is packed with a TON of coupons on local restaurants, shopping, and activities! You will also get a digital membership for more mobile coupons! Select a book from the dropdown list to enroll in the annual renewal program. Pay $3.99 today and enjoy $5 savings off next year’s books. You will also get an early delivery for 16 full months of coupon use! Note that cancelations, before you receive your 2019 book, will result in a $5 fee. After that, you may cancel anytime! Get the complete details here.